This is a blog post that I’ve been wanting to write for quite a few years now. Almost since I started my blog. I literally had a draft saved for probably three years called living with anxiety. But, it never seemed like the right time to write it. Honestly, anxiety and depression are often not shed in the best light and they have a stigma attached to them. One of the main things people will say to me is “just think positive” or “get over it” “stop using anxiety as an excuse.” These are some of the worst things you can say to someone who has anxiety. 1st telling people to just think positive is a great idea. But, it’s not that simple. I love the law of attraction and I do believe that gratitude can help. Thinking negatively 24/7 has never helped me in the long run. So, yes I do believe in finding something. Even one thing to be grateful for can make a huge difference. Keeping a daily gratitude journal even if you are grateful for your morning coffee, or your kids, or a beloved pet. Even finding one thing can really help to get out from under the cloud that anxiety and depression causes. However, you can’t magically think positive thoughts. I think telling someone that is unrealistic. I do believe in the power of affirmations. I first discovered affirmations by reading You can heal your life by Louise Hay. I started using affirmative prayer and affirmations when I was in a very dark place with my depression. At the time it was very hard for me to think positive at all. Over the years when I’ve included affirmations with other things like yoga, journaling, and even professional help it helps me much more. I also like to write affirmations down and post them around the house. One of the things I love that Louise taught was mirror work. Even just looking at yourself in the mirror and telling yourself that you love you. Often times, it can be so hard for us to accept ourselves and love ourselves especially when we live with anxiety. We feel like the reason we can’t do things and live a normal life is our own fault. We regret the things that we didn’t or couldn't do because of our anxiety. Often times it is the person with anxiety who is harder on themselves than others. 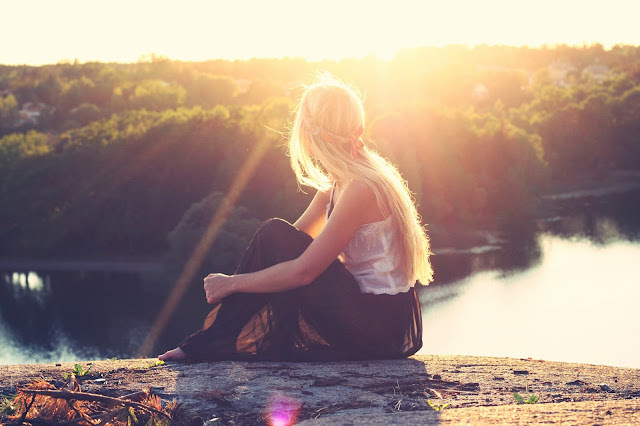 When other people are hard on the person with anxiety it is often because they don’t understand what actually happens to a person when they have anxiety and what they are going through on a daily basis. The second thing people often say in my experience is to get over it or stop using anxiety as an excuse. Most people with anxiety wish they didn't have it. 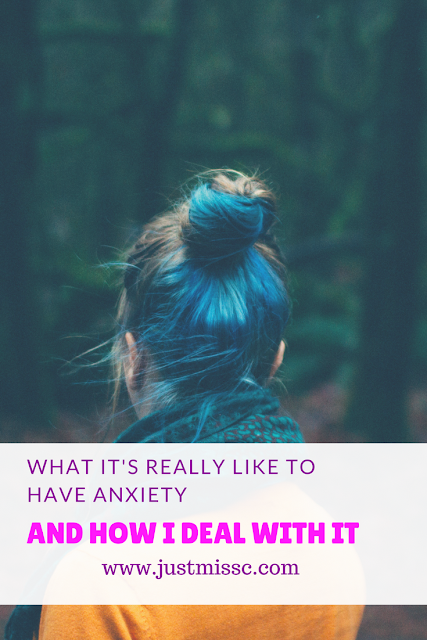 We don’t ask to have anxiety and this just makes it feel like it’s our own fault. Which in turn can lead to depression. I know for me the biggest thing that causes my depression is having anxiety. I also have agoraphobia which means it is hard for me to go out alone and I’m always afraid of being in public places especially when they are really crowded. 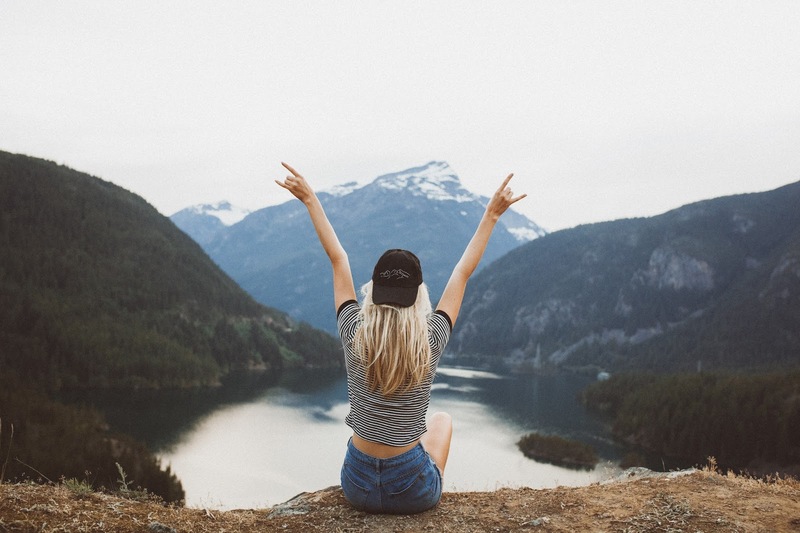 I would love to travel and live a “normal” life so not being able to do these things adds to my depression. If it was that easy for people to get over anxiety believe me we would. This is not something anyone wants to have. So, if you know someone with anxiety then it is important to be mindful. Apart of my fear is also that I will get a panic attack. Anyone who has suffered a panic attack knows how scary those can be. That can prevent people with anxiety from going out and doing things because they are afraid of having another panic attack. Some people with panic attacks aren't sure what is going on at first. The symptoms are not just mental but can be physical as well. This can make it even scarier for the person with anxiety and panic attacks. Symptoms include increased heart rate, hyperventilating, sweating or chills, trembling, fatigue, and feeling dizzy. There are more symptoms as well. I have had all these at one time or another and it can be very scary for the person going through it. Over the years I have learned ways to minimize my anxiety. I haven’t gotten rid of it and I’m not sure I’ll ever truly get rid of it. First, when I go out or I know I’m going to be around a lot of people I try to deep breathe. This helps to keep me grounded. I also will practice cognitive behavioral therapy and turn my thoughts from negative into positive. This is where affirmations really come in handy. As well as gratitude. I try to shift my thoughts instead of focusing on fear I focus on the positive. This does not always get rid of my anxiety or panic but it does make situations more bearable for me. The second thing I try to do when I’m in the midst of panic or anxiety is to be mindful. I will try to find a physical object to focus on. This can be a candle, a plant, a tree, or anything that catches my attention. Personally, nature is my favorite thing to gaze at when I’m feeling anxious but if there is no window I will utilize what is around me. I will try to just be in the present and enjoy the moment which can be really hard for those with anxiety and panic. But, it does give me moments of relief and makes social situations more bearable. Some things I like to do on a daily basis are soul writing and journaling. Journaling is a great tool for getting all the muck out of our head. Especially when you have anxiety, worry, and panic all these what if thoughts can pop up in our heads. So, for me I like to get all that out in a journal or notebook. If you are worried about others seeing it you can rip up the pages and throw them away when done. I will try to write at least three pages but usually more. How many pages you write is up to you. Some days it might one or two others it might be 10. Then I always try to shift my focus to the positive. I will write a gratitude list and a prayer. There are also many journals you can utilize as well. 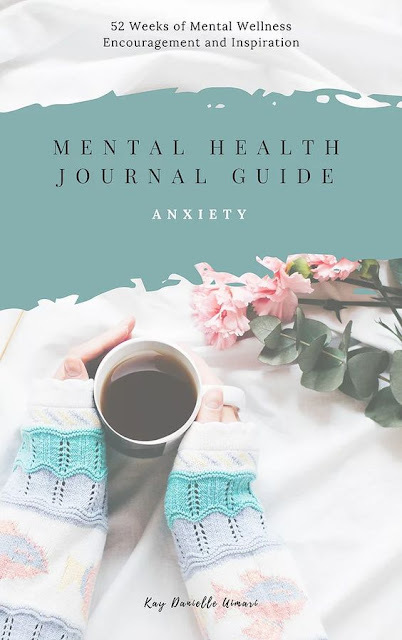 A guide like the Mental Health Journal Guide for Anxiety is a great place to start. Use code christina15 at checkout. Another journal I recommend is The Stay Sacred Journal. This has really helped me to start my morning with positive thinking. It is a 21-day journal that helps to tap you into your goals, divine feminine, and positive affirmations. Meditation and yoga are also a major part of my practice. I’ve done many different meditations over the years but my favorites are visualization, mantra, vipassana, and Flowdreaming. I really like the meditation on the Flowdreaming app called Instant Anxiety Relief. I will use this when I start to feel anxious or before I go someplace that I know might produce more anxiety. Yoga has also helped me tremendously over the years. It helps to ground me and get me back in my body and focusing on my breath. Exercise is a great grounding tool as well. So, is going outside and getting some fresh air or splashing some cold water on your face. If I find myself in the midst of panic I will also utilize going outside and breathing in the fresh air. This can help me almost immediately to calm down. You can even take it a step further by earthing. Putting your bare feet on the ground (as long as it is safe to do so) and/or touching a tree with your bare hands if you can’t take your shoes off. There really is something to be said for hugging a tree. Nature does have it’s own natural calming effects. Another thing that really helps with my anxiety either before I go somewhere that I know will be anxiety producing or to do on a daily basis is EFT (Emotional Freedom Technique) This is when you tap on your meridian points and set up statements. These usually are statements that are true such as “I am so anxious right now but I deeply and completely love and accept myself anyway.” or “even though I have this anxiety I deeply and completely love and accept myself.” Then you would say true statements like “I’m so anxious at this party right now, I’m worried no one likes me.” Then you switch to positive statements and affirmations for the final tapping round. I love listening to Brad Yates and Margaret Lynch they have some great videos for free on YouTube as well. These are just a handful of ways that I deal with my anxiety. There are many more ways that you can deal with it as well. If you are really struggling then I suggest seeking out a professional like a counselor or psychiatrist. This blog post is not intended to diagnose, treat, cure, or prevent a mental Health issue or any disease. Please see a professional for your mental health or physical health if you have a mental health issue or illness. This is only my personal experience and everyone is different. What a beautiful journal. Anything you can use to help move you through the emotion of anxiety is wonderful. I think it's so easy for people to judge those with anxiety without really knowing what it's like. I love your tips. I'm curious, how often would you recommend doing yoga? As a fellow anxiety/depression sufferer, I relate to this post on many levels. How brave for you to share your story! Really hope that in this next decade we'll see much less stigmatization of mental illness. The tide does seem to be turning, albeit slowly. Thanks for posting this! I am doing some of the things you are - love the EFT to release things. Affirmations help as well! Anxiety can take many forms and learning to deal with it and almost lean into it and accept it can be empowering in its own right. Good luck!! Thank you so much! It's about finding what will work for you. Each person is different but I know EFT and Affirmations have really helped my anxiety. I'm glad that you also find some relief with EFT and Affirmations as well.